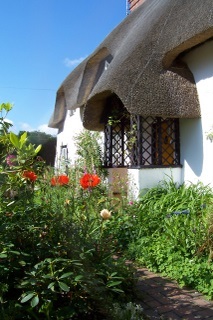 How did I find out if my New Forest thatched cottage has Commoners Rights? I had hoped that my New Forest thatched cottage did have these rights as it was so old, but the age of a property doesn't always mean it's certain. I sent off to the Verderers Office, based at The Queens House, Lyndhurst for a search to be made. Just because my thatched cottage is a couple of centuries old it doesn't necessarily mean I would automatically have New Forest Commoners Rights. It really is a very complex matter and the staff in the Verderers Office really do know their facts. Historic maps are held at The Queens House and my search was done from the Forest Atlas. 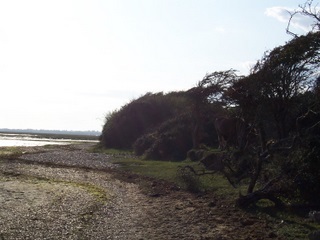 I have Forest Rights of Common of Pasture and Mast attached to my little old thatched cottage. My Right of Common of Pasture entitles me to depasture ponies, cattle and donkeys onto the open wastes of the Forest. 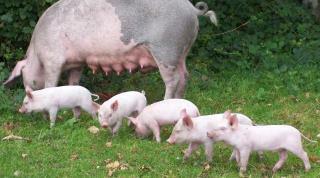 This year the annual tail marking fee payable by practising Commoners is £20.00 per head of stock. 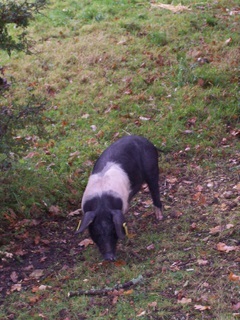 My Right of Common of Mast entitles me to depasture pigs onto the open wastes of the Forest in the pannage season which is a period of minimum 60 days announced by the Forestry Commission, after consultation with the Court of Verderers. This means the Court of Verderers will have decided this year, based on weather conditions and the ripeness of the acorns on all the oak trees within the Forest, when the pigs should be let out. Green acorns are toxic to ponies but not to pigs. 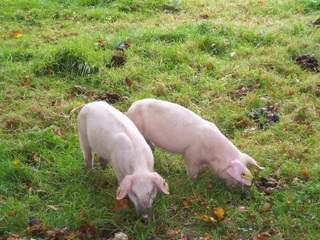 It is vital that there are enough pigs to scoop up the green acorns before the ponies get to them. 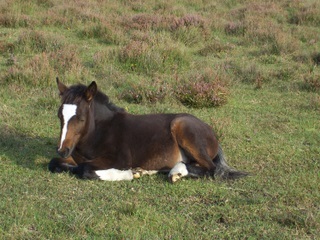 The ponies will eat ripe (brown) or unripe (green) acorns without a worry - until it is too late. Weather conditions are crucial because if the oak trees retain their green acorns but then a storm occurs, the green ones will be blown off in the storm, instead of staying on the tree until naturally ripened. Then if a storm blows them off it wouldn't have such a dire consequence to the ponies.